I taught an introductory creative writing class once, and I made the mistake of telling my students that I cooked/baked. Somehow or another, we got to the topic of biscuits, and I promised them that I would make them a batch. They begged (read: blackmailed) me into finally bringing them biscuits on the Wednesday before Thanksgiving. 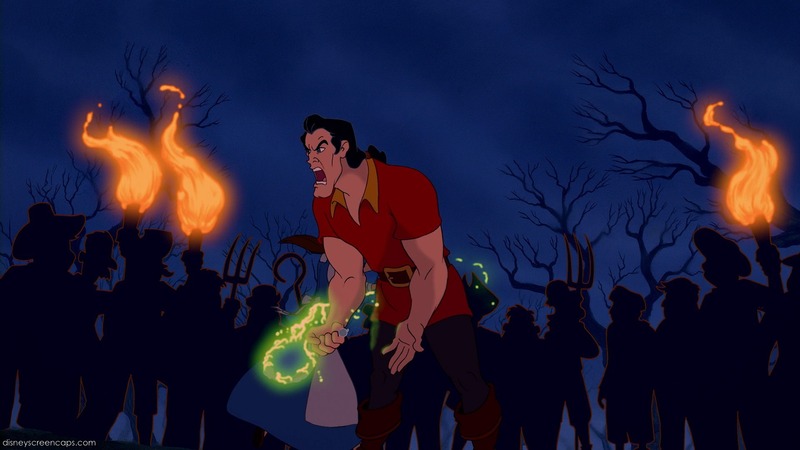 The biscuits were a big hit, grape jelly was passed around, and an angry mob à la Beauty and the Beast was avoided. Basically, biscuits saved my life. 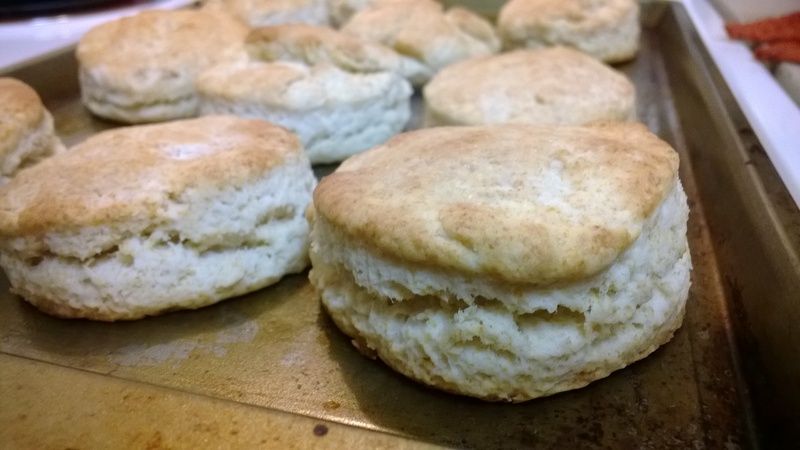 What I love about this particular biscuit recipe is that it’s easy to play around with. I’ve substituted AP flour for bread flour, canola oil for vegetable oil, fat-free milk for whole milk, and buttermilk for whole milk and each substitution has worked well. Adapted from Easy Biscuit Recipe. Yields 10-12 biscuits, depending on the size of the biscuit cutter. In a medium-sized bowl, add vinegar to milk and set aside to sour for 5 minutes. Place oil in measuring cup and add to milk. DO NOT STIR. Add milk and oil mixture to flour mixture. Mix until moistened/just combined. Knead 1 or 2 times to form a ball. Roll out dough into a 1/2 thick square onto wax paper and cut into 2″ thick circles using biscuit cutters or the rim of a glass. Place biscuits onto baking sheet. Melt honey and butter for 10-15 seconds in microwave. Brush honey/butter mixture over biscuits. Bake at 475 for 10-12 minutes or until biscuits are golden brown. * You could use buttermilk (which the vinegar/whole milk combination eventually becomes) or fat free milk. Yes, fat free. I say we eat the biscuits!